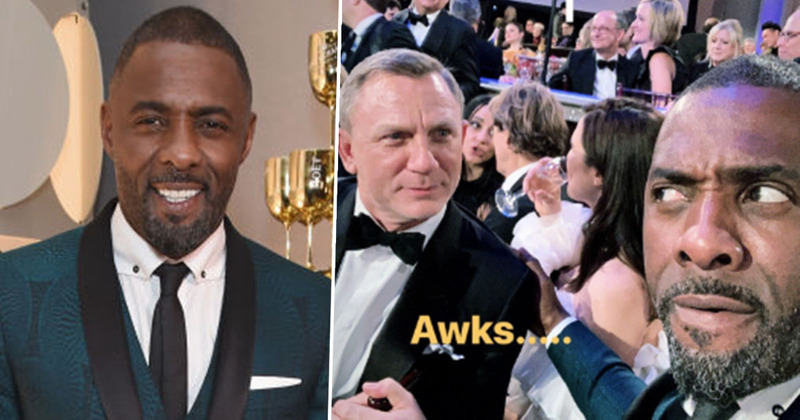 Idris Elba met Daniel Craig at the Golden Globe Awards and their encounter led to everyone making the same joke. 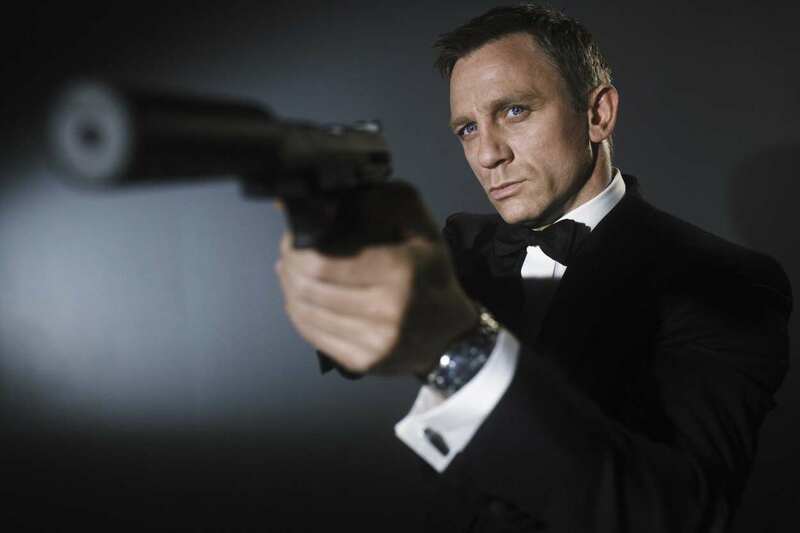 With Craig set to give up his gun after the next James Bond film, there’s been a lot of rumours circulating about who’ll be next to dress up in a classy suit while asking for their Martini to be ‘shaken, not stirred’. The Casino Royale star has been the face of Bond since 2006 after taking over from Pierce Brosnan, but his time as Britain’s favourite spy is nearing its end. The actor confirmed he wanted to ‘go out on a high note’ by ending his reign with the 25th movie of the franchise, Bond 25. I always wanted to [return], I needed a break. I just want to go out on a high note, and I can’t wait. Bond 25 is set to be released in 2020, so although the 50-year-old still has some time left in the role, fans haven’t been able to help but speculate who the next ‘Bond, James Bond’ will be. However Luther star Elba has been the first choice for many. While there’s been no confirmation as to whether Elba will become 007, the actor hasn’t exactly been dismissing the rumours. And his encounter with Craig at yesterday’s Golden Globes (January 6), served to fuel them even further. Elba shared a picture on Twitter showing Craig glaring at the 46-year-old, while he gave some side-eye back. 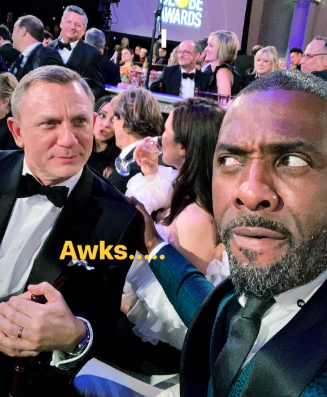 The current James Bond must have felt a little put out, seeing as a lot of fans are pushing for Elba to fill Craig’s shoes before he’s even stepped out of them, but the pair played on the uncomfortable nature of the encounter with the funny photo, which Elba captioned ‘Awks…’. Though it was pretty clear the situation was ‘awks’ because of the circling rumours, fans still had a ball coming up with jokes about Craig’s potential replacement, with many using memes and puns to really rub it in. you seem both shaken *and* stirred. This isn’t the first time Elba has teased Bond fans. While the photo is more ‘what you see when you accidentally open the front camera’ than ‘official James Bond promo picture’, the caption itself was enough to excite those pushing for the actor to be the next Bond. Despite the tweets, Elba has said in the past he didn’t set out to give false hope to fans, but he just couldn’t resist playing on the rumours. I’m not teasing, I’m not meant to be teasing. But you’ve got to laugh, it’s such an incredible rumour that has gotten out of hand – and hey, why not? 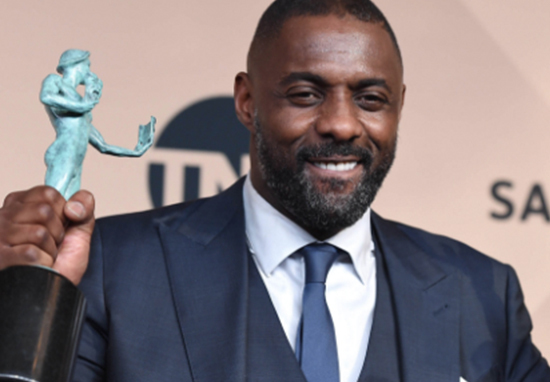 In the background of the image was Netflix’s Ted Sarandos – their Chief Content Officer – who was looking over to Idris and Daniel with a quizzical eye. Hopefully their encounter at the Golden Globes wasn’t actually as uncomfortable as they made it seem in the picture!